1. Data import will always create new entry in your Orange Diary. 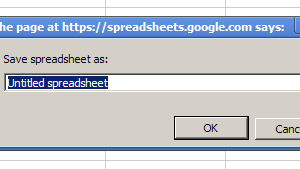 You cannot update the existing entry by using same title. 2. You cannot use comma in Tag. Comma is used as a delimiter for multiple tags. 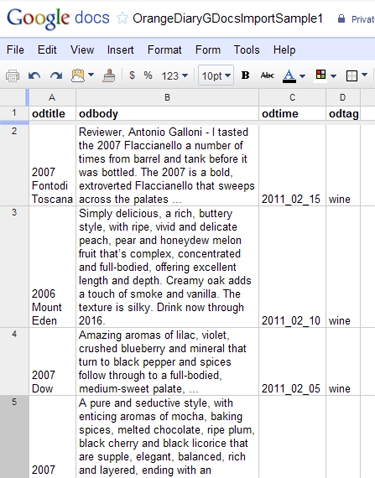 If you put "," in tag column, Import module will split the string and create new tags for each string pieces. (i.e) "Cat,Dog" will be interpreted as two tags, "Cat" and "Dog"
Create header line in first row. 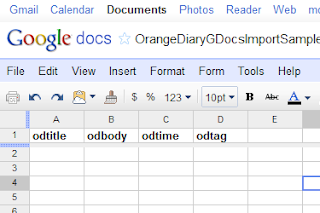 The header should contain four columns and each column should be titled as "odTitle", "odBody", "odTime" and "odTag". 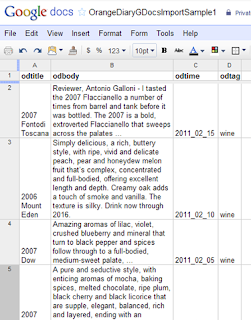 Each row will become one entry and Texts in each columns are imported to (1) title, (2) entry body, (3) date and (4) tag fields. All the date,time values should be in 24 hour, "YYYY-MM-DD_HH:MM" format. 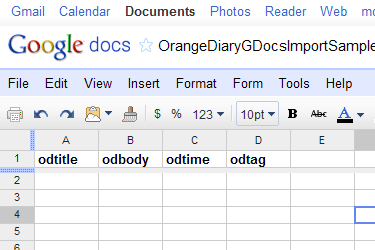 The value in "odTag" column should match to the existing tag in Orange Dairy. Otherwise, new tag will be created for the entry. 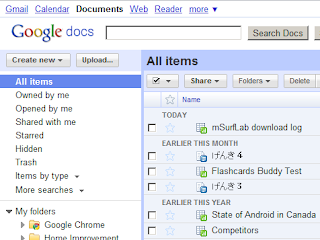 In case, the tag column is left blank, the entry will be imported into "Imported" tag by default. 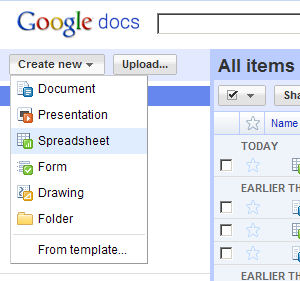 Now, your job is done in Google Docs. Go to Orange Diary and start the import. Press the worksheet you saved your entries. 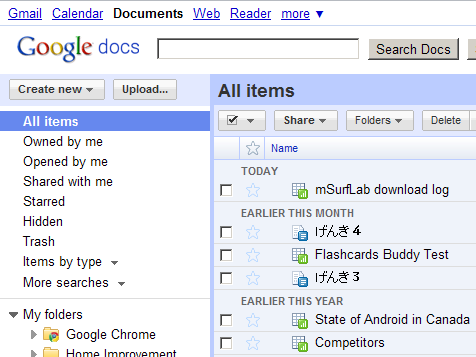 Then you will see the list of entries. You can import either (1) individual items or (2) all entries. "Import All" Button will import all the entries at once. For individual items, press on the entry item and select "Import" button.